TSI’s NEXUS-HVR is our industry leading mobile hybrid video recorder designed specifically for the Public Transportation market. 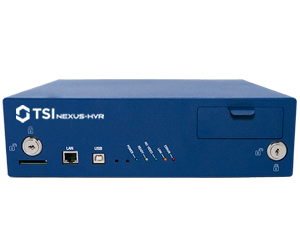 Whether looking for a full network video recorder (NVR) capability, or a video recorder that supports your legacy analog cameras, or both; TSI’s NEXUS-HVR is the answer for you. The NEXUS-HVR supports up to 32 channels of HD(IP) video, or up to 12 analog camera inputs, or any related combination of HD and analog. 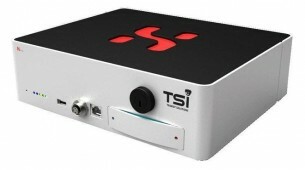 Additionally it supports up to 8 channels of audio for analog cameras, or 32 channels of audio for HD(IP) cameras. 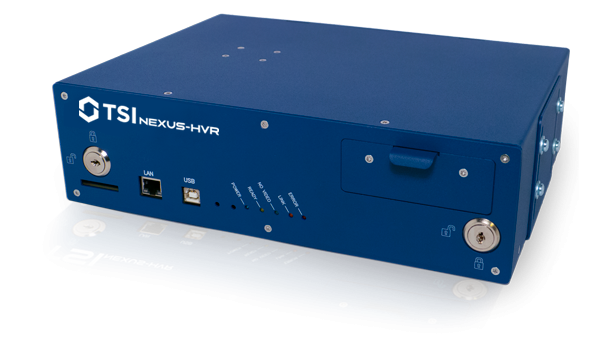 Beyond video and audio, the NEXUS-HVR serves as a central hub for collection of metadata such as GPS latitude/longitude/ speed, up to 12 discrete inputs, accelerometer (G-Force) readings, and optional interfaces to other onboard systems. All data is stored on an integrated removable dual disk drive, with storage capabilities of up to 2TB on a single drive, and up to 4TB on dual drive configurations. The NEXUS-HVR also supports a full suite of wireless viewing and download/upload capabilities over any type of IP-based wireless network. When integrated with TSI’s NexView software, the NEXUS-HVR is the mobile solution of choice for the discerning transit agency.